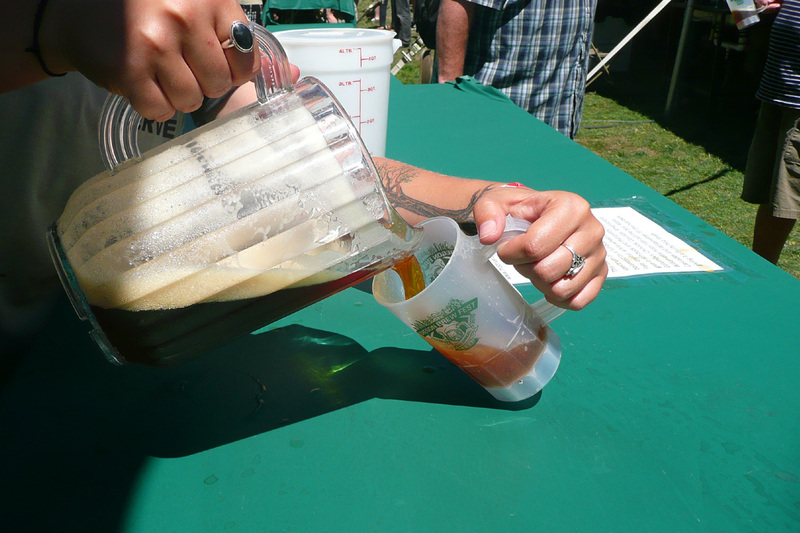 The Oregon Brewers Festival, coming up next week, is a destination event. Something like 80,000 craft beer fans will descend on Waterfront Park to sample some of the best beers the planet has to offer in an amazing setting. A growing number of them come from outside the Portland metro area. Best event in the galaxy? Well, we just don't know, dude. Best in the solar system? Almost certainly. Where the OBF is today is something of an enigma given the event's pedestrian beginnings. The story has been told before here and elsewhere. The first official OBF happened in 1988, when there was really nothing like it around. I say "official" because there was a precursor in 1987, when Art Larrance got Portland Brewing involved in supplying beer for Papa Aldo's Blues Festival. Once the taps were turned on, they ran continuously, perhaps suggesting craft beer needed a festival of its own. The first OBF happened in July 1988. It was miniature next to what the event is today. 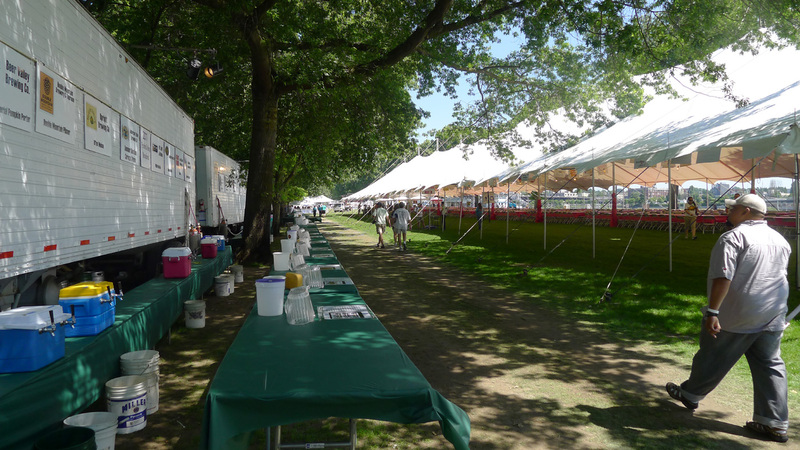 There was a single tent and 22 breweries pouring something like 30 beers over two days. The plastic festival mug (the city did not want broken glass in the park) cost $1. Half a mug of beer was $1 and a full mug was $2. Logistical issues were rampant, largely the result of the fact that the expected crowd of 5,000 tripled to 15,000. They couldn't pour the beer fast enough. It's important to recognize the Oregon Brewers Festival for what it isn't as much as for what it is. The Great American Beer Festival started in 1987. Larrance had no intention of copying the GABF. In fact, the OBF was going to be very much the opposite. The GABF is an indoor event; the OBF is outside. The GABF accepts all beers and gives 1 ounce samples; the OBF is more selective and pours larger samples. 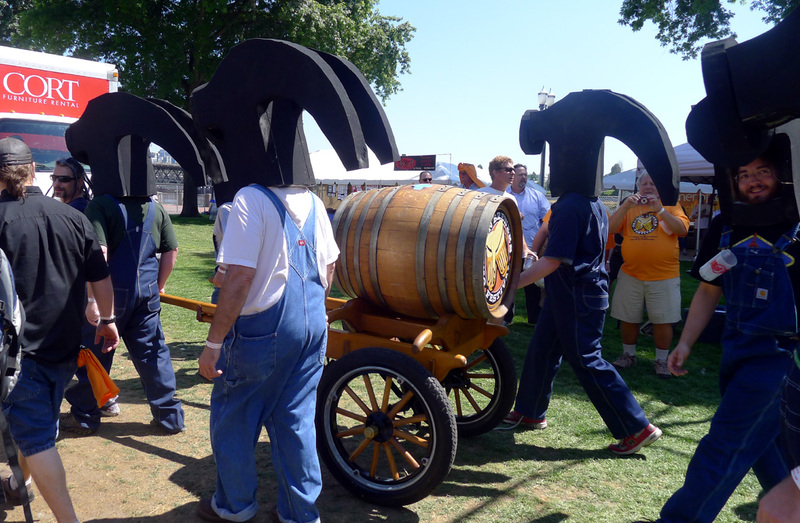 The GABF has judging; the OBF will never have judging of any kind. If you can't wait to know what beers will be poured this year, you've probably already gone to the OBF site and scoped it out. If you want to and haven't, find the list here. As noted above, we still don't know what will be pouring in the Buzz Tent or Sour Tent. The OBF's Wizard of Beer, Preston Weesner, is keeping the specialty beers under wraps for now. For those who want some direction, I'll make some recommendations early next week. Picking beers to taste at the OBF is a bit of a slippery slope because there are so many good ones. I'll break my list down into several categories because that's how I like to taste. Check back next week for a cheat sheet.